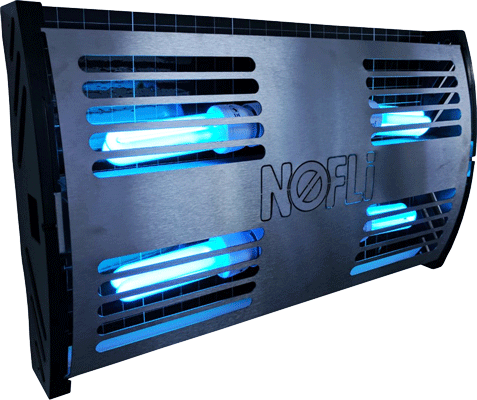 The innovatively designed, British-made NoFli Compact Unit. Great looking, light, easy to fit & service. Replaces the dirty, unsafe Zapper products. 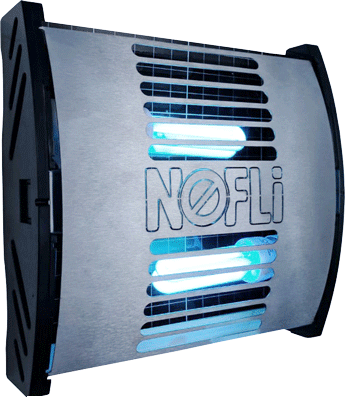 A supply of glue boards allowing you to service the NoFLi unit every month. It is fully recyclable, non-toxic and It only takes 5 seconds to change! Bulbs – High quality energy efficient bulbs with an optimum UV light output of 365 Nannometres – proven to be effective at attracting insects. One NoFli Large unit covers approximately 160m2. Perfect for larger areas such as Restaurants etc. Bigger, Brighter, Better.